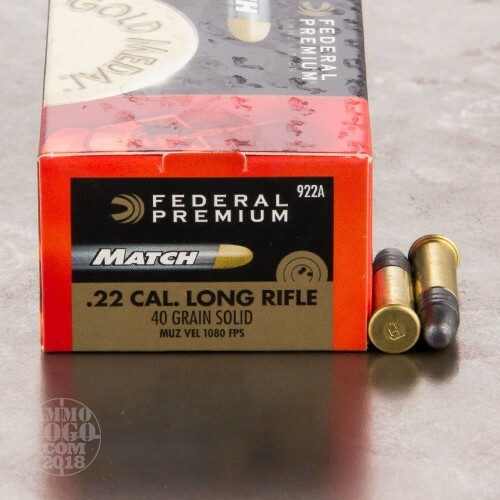 These .22 Long Rifle rounds from Federal are excellent for match shooting, training endeavors, and recreational plinking! 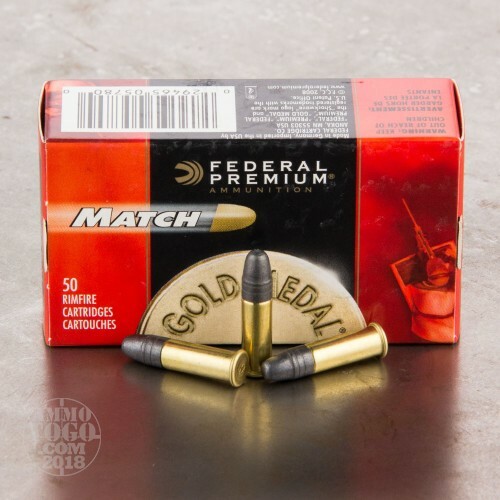 The Gold Medal Match series is so aptly named due to Federal's reputation for supplying ammunition to the very successful U.S. Olympic shooting team. As such, these rounds are manufactured to tight tolerances and then subjected to a stringent inspection process. The rimfire brass, primer mixture and lead projectiles are all made by Federal for ultimate in-house quality control. 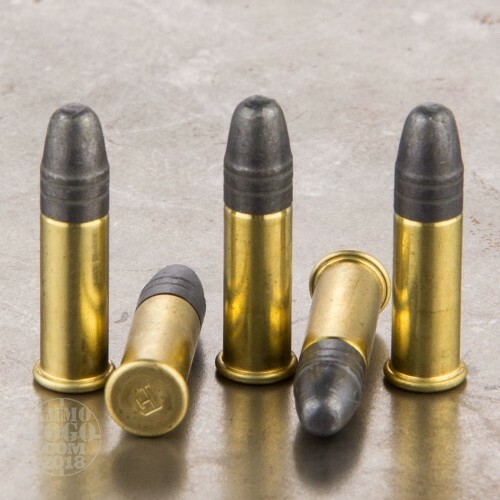 The solid round nose bullets weigh 40 grains each and feature elongated, triple-flange bourrelets which engage rifling with greater surface area in order to achieve improved in-flight stability. This contributes to incredible accuracy and long-range capability with some shooters reporting 50 yard groups that measure less than a half-inch in diameter. Buying in bulk with this 500 round brick will supply your competitive needs for a while. 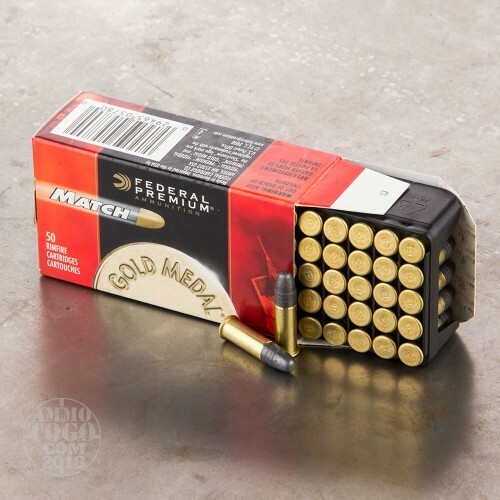 Federal Premium ammunition has been around since the early 1920s and is well-respected for high performance and unique designs aimed towards sportsmen, hunters, and law enforcement specialists.